Tereza Kuldova has read another book for us: Multi-Sited Ethnography: Theory, Praxis and Locality in Contemporary Research, edited by Mark-Anthony Falzon. It consists of 14 articles. Tereza Kuldova is currently planning a “multi-sited” fieldwork and has picked four articles that she considered most inspirational. Multi-Sited Ethnography: Theory, Praxis and Locality in Contemporary Research (ed.) Mark-Anthony Falzon. 2009. Ashgate. ISBN 978-0-7546-7318-7. This edited volume consisting of fourteen research papers takes us right into the middle of the theoretical dilemmas and practical challenges posed by “doing” multi-sited ethnography. The discussion on multi-sited research can be viewed in the context of the changing realities of the world since the 1970s (commonly connected with terms like globalization, transnationalism, world system, diaspora, etc.). It can thus be viewed in the context of times when the single-sited methodology is felt as inadequate and when the social sciences are struggling with their relationship to the local, while searching for larger scales of analysis and better ways how to capture the connections between people, things, and places and in the context of times when the concept of “culture” no longer stands the critique of a great deal of anthropologists. In this sense this edited volume comes in the right time and is of great value. It presents something that could be labeled as a “second generation” multi-sited ethnography; it overflows with theoretical suggestions, prospects and critique based on highly valuable empirical examples from research and fieldwork. All articles are theoretically oriented; they lead us towards rethinking of the concept of “multi-sited” in various directions and from various positions. In short, Multi-sited Ethnography deals with the accusations of “depthlessness” or absence of thick descriptions in multi-sited research, with the practical problems of working in diverse localities, the challenges of projects based on collaboration, the problem of implicit holism of the classical statements of multi-sited ethnography (Marcus 1995), and much more. I now proceed to a discussion of several selected articles, which I personally, as an anthropologist who is currently planning a “multi-sited” fieldwork, considered most inspirational. 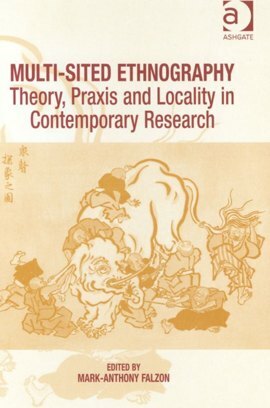 Let me first turn our attention to the critique of multi-sited ethnography by Mateo Candea in his article Arbitrary Locations: In Defense of the Bounded Field-Site (ibid: 25-46), which ignited and inspired many of the theoretical discussions, not only, present in this volume. Candea targets in his critique what he sees as a latter-day implicit holism. This is to be found in “a suggestion that bursting out of our field-sites will enable us to provide an account of totality ‘out there’” (ibid: 27). He challenges this implicit holistic idea through his proposal to reconsider the value of the delimited field-sites. He argues that ethnography is about setting up ‘arbitrary locations’, he urges us to opt for ‘self-imposed restrictions’ and to take the path of ‘self-limitation’; to be reflexive and self-critical in our methodological decisions, to take responsibility for those decisions and to take responsibility for what we include and what we exclude. He believes that being “explicit about the necessity of leaving certain things ‘out of bounds’” would turn “what feels like an illicit incompleteness into an actual methodological decision, one which the ethnographer reflects upon and takes responsibility for” (ibid:34). Arbitrary location for Candea is “not an object to be explained, but a contingent window into complexity” (ibid: 37). Even though the title might mislead some, Candea’s article should not be read as an attack on multi-sited ethnography, rather, it views ‘multi-sited’ as a positive development, a development which brought a new wave of methodological reflexivity. And it is on this wave of methodological reflexivity that Candea’s article is sailing and challenging the imagined totality of ‘cultural formations’. Candea’s article is one of those that push you to think further, and whatever your opinion might be, it definitely makes you sit down and rethink your own approach to multi-sited ethnography, though maybe in a different direction than his. The article What if There is No Elephant? Towards a Conception of an Un-sited Field by Joanna Cook, James Laidlaw and Jonathan Mair (ibid: 47-72), is a further rethinking of the holistic charge against multi-sited ethnography and in my view it brings Candea’s critique a step further. The authors intend to lie to rest the holistic assumption that has haunted the first generation of multi-sited research and to carry the disconnection of ethnographic field from space to its logical conclusion through their proposal of ‘un-sited field’. Studying the Buddhist ethics of self-cultivation in a multi-sited project has led them to question both the implicit holistic assumptions of multi-sited research and similar assumptions present in the theory of world religions. They proclaim that “the widespread assumption by adherents of self-consciously world religions, that there ‘must be’ a coherent whole of which they are part is itself a religious commitment, and one that is framed in distinctively modern terms” (ibid: 54). This line of thinking, I believe, is rather fruitful and it led the authors to the elaboration of the concept of ‘un-sited field’. Un-sited field means abandoning the idea of sited field altogether and acknowledging the three-fold distinction between space, place and field. Abandoning the “idea of sited field makes it possible to admit that it never was possible to achieve a complex description of any area or group of people, but in exchange for acknowledging that fields are always constructed out of a too-rich reality, we would gain the freedom to determinate their boundaries explicitly, in relation to our research questions” (ibid: 58). This then means that “a valid ethnographic field need not correspond to a spatial entity of any kind, and need not be a holistic entity ‘out there’ to be discovered” (ibid: 68). I too believe that our construction of field should be a primarily reflexive activity throughout the whole fieldwork period and even after and that we should be led by our research questions when determining what is within the boundaries we demarcate and what is beyond them. This reflexivity cannot be other than productive as is the clear distinction between space, place and field which is proposed. Another article which discusses, among others, the question of holism is Ester Gallos In the Right Place at the Right Time? Reflections on Multi-Sited Ethnography in the Age of Migration (ibid: 87-102). In this article Ester Gallo discusses her research experience among the Malayali migrants in Rome and in Ernakulam (Central Kerala, India). She notes that it was first retrospectively that she articulated her fieldwork in Rome and in Kerala in terms of multi-sited ethnography. What she emphasizes is the importance of paying notice to the ‘meanings of movement’ involved in the processes of following people. Movement tends to be easily taken for granted, particularly in the migration studies. But in her view the meanings of movement must become objects of study rather than its premises (cf. Hage 2005). Further discussing the question of holism, she believes that “once we move away from the holistic aspirations of multi-sitedness, we can look at how its application results in the cross-fertilization and reciprocal limitations between different levels of ethnographic perspective” (ibid: 89-90). Multi-sitedness in her view thus implies “both expansion and limitation of the ‘site’, as analytical framework and relational practice” (ibid: 90). I like the idea of ‘cross-fertilization of sites’, which Ester Gallo comes up with, it suggests the opening of new questions, possibilities and important connections which can be perceived only when expanding, at the same time as bounding the field. She accentuates, that what is so particular about multi-sitedness “is the possibility it offers to interrogate the ‘site’ of research, not as a preconstituted dimension of social inquiry, but as relational process and methodological device” (ibid: 99). The last article I chose for a closer discussion is Strong Collaboration as a Method of Multi-Sited Ethnography: On Mycorrhizal Relations (ibid: 197) by Matsutake Worlds Research Group (Timothy Choy, Lieba Faier, Michael Hathaway, Miyako Inoue, Shiho Satsuka, and Anna Tsing). I chose it because it is different both in its object of study and in its approach to multi-sited research. In their project the Matsutake Worlds Research Group follows a mushroom – matsutake – a highly sought after mycorrhizal mushroom that grows in Asia, Europe and North America and that is an important element of Japanese cuisine. But this mushroom is not just something that is followed; it is literary taken seriously as a collaborator in their research and collaboration is thus turned into what is followed along with the mushroom. Not only does this article invite us in a world of strong collaboration between scientists and into what pros and cons such collaboration has, but also into a world of strong collaboration with the non-human world, discovering the various potential relationships with it. The authors explore both the negative possibilities of collaboration, such as its at times even traitorous nature and positive possibilities and the question of why it is attractive to anthropologists. They urge the fieldworker to use his senses, to sensually immerse in the field. “Taste, sight, sound, touch, smell, heat, body awareness, pain, anger, frustration, balance, weight, scope, acceleration, logic, instinct, hunger, belief. The senses we engage when we conduct fieldwork are nodal points between our ethnographic environments and us. Through them, we become ethnographers. Through them, our bodies become our research instruments” (ibid: 201). As an example we can take the “chemical interactions, including smell” that “offer one register of relationality in which humans and non-humans, alike, can participate”. When discussing the strong collaboration between the researchers Lieba Faier uses the term ‘echolocation’, which is “an interactive sense that enables a creature to find its way by reaching out to other bodies with sounds that return to it transformed” (ibid: 202). She relates echolocation to the practice of strong collaboration and draws on a particular example in which more ethnographers engaged with the same matsutake wholesaler, but their depictions of him were radically different. From this collaboration “a more multidimensional picture of him emerged than any single ethnographic perspective could have provided. Perhaps ethnographic echolocation is one of many new kinds of senses that can be cultivated through multi-sited, strong collaborations” (ibid: 202). The idea of echolocation as another sense of the ethnographer might prove fruitful in the future, as well as the emphasis on strong collaboration. At the same time collaboration, even though conceptualized as a dialectical practice, may lead to conflicts and unintended power struggles, caused by the often not compatible views or perceptions of the situation and struggle for personal recognition. “Why do ethnography? One reason is to spurn spectacular capitalism, which fills our screens with glamorous happy thin elites playing with their globally-standard expensive toys. The world – in its materiality and its diversity – is worth more than that, as ethnography can remind us. But anthropology too is full of glamour stars, all in rush to ‘brand’ their ideas and market their way to top. What might it take to build a slower, richer scholarship, in which we might connect with the living sensual textures of our still diverse world? Might strong collaboration help?” (ibid: 206). “Mushrooms remind us: We are all collaborators. 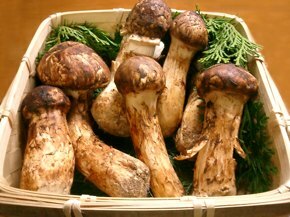 Just because matsutake is not cultivated does not mean it does not collaborate with humans and other beings. Rather matsutake urges us: Strain to find lines of connection. Just as matsutake forms relations with host trees in its essential becoming, strong collaboration makes us remember that all becoming is relational. Taking non-humans – not just fungi but also trees, animals and climate – as collaborators stimulates surprise and wonder. Non-human forms of recognition are not our forms. Thus they open up the framework through which we appreciate relationality” (ibid: 211-2). This edited volume is a highly reflexive piece of work and, I believe, a must read for any specialist in anthropology, sociology, and development and migrations studies, or anyone dealing with the “multi-sited” in their research. Hage, G. 2005. A not-so multi-sited ethnography of a not-so imagined community. Anthropological Theory 5:4, 463-75. Marcus, G. E. 1995. Ethnography in/of the World System: The Emergence of Multi-Sited Ethnography. Annual Review of Anthropology, 24, 95-117. How Indissoluble is Hindu Marriage? Henrik Sinding-Larsen: What happened to holism?